Informative & Entertaining: Information & Inspiration to Live, Work, & Play at your Boomer-best. opportunity for a healthy outcome. Burton Goldberg is passionate about alternative medicine--and is committed to helping forge profound, positive changes in health care and medical awareness. To further this pursuit, he has published a series of Alternative Medicine Definitive Guides to various health conditions. This series includes the landmark, 1100 page publication, An Alternative Medicine Definitive Guide to Cancer, in which 37 top alternative medicine physicians explain their proven, safe, non-toxic, and successful treatments for reversing cancer today. Attractive Professional/Business Portraits for Women by Gabrielle. Many styles available to fit your specific style. Make-up services available from corporate, to exotic or fashionable looks. Free consultation included prior to your sitting - also, at that time we offer a discounted price for a 30-60 second social media video should your business require one. Video Samples available - please click Video above. All work 100% guaranteed. Our commitment to the Tampa Bay Chapter of Slow Food USA is to growing, sharing and eating good, clean, fair food.We believe in eating food that tastes good and that is produced in a clean sustainable way. Food production shouldn't harm the environment or promote cruelty to animals, should be good for our health, Quality and diverse food should be accessible in our community; and food producers should be acknowledged and given fair compensation for their efforts and hard work. 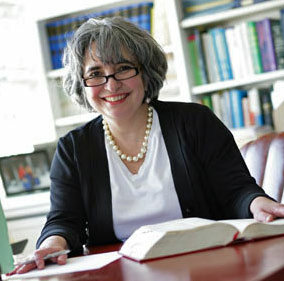 Joette Calabrese, HMC, CCH, RSHom(NA) has practiced as a classical homeopathic consultant since 1997. She began her studies in classical homeopathy in 1986 and completed her five year degrees with the North American Homeopathic Master Clinician Course and the Dynamis School of Advanced Homeopathy in Toronto. She has studied with world class homeopaths such as Lou Kline, Vancouver, Jeremy Sherr, London, Jan Scholten, Netherlands, Andre Saine, Montreal, Richard Moskowitz, MD, California and Dr. Ramakrishnan, India. Ms. Calabrese is an official spokesperson for the nutrition organization, Weston A. Price Foundation, Washington, D.C. She is nationally certified by the North American Society of Homeopaths and the Council for Homeopathic Certification, accrediting organizations that are dedicated to maintaining high standards of homeopathy in North America. Originally launched five years ago, the essence of the company is Miranda’s unique Classical Stretch technique. The company began as a producer of the television series “Classical Stretch” for PBS and has since broadened its focus. The company now produces DVDs for the retail market that focus on the needs of its diverse clientele. Due to growing demand for the program, the company recently launched a home-based teacher training system that includes detailed visual training on DVD. For those interested in a more in-depth knowledge of this unique technique, Classical Stretch will be launching a distance learning University Credit Course in the fall of 2006. Ms. Wilson is the creator and host of public television’s Sit and Be Fit™, the half hour exercise program designed for older adults and those needing slow gentle movement. The syndicated series has been airing for more than 22 years on PBS stations throughout the United States and Canada. Sit and Be Fit is recognized by the National Council on Aging (NCOA) as a "Best Practices" program in health promotion and aging. Fifty Plus Fitness in LA! The bottom line for most of us is that we want to remain as healthy as possible for as long as possible—and we want to look good doing it. This takes some work, and it gets harder as we pass age 30. But that doesn’t mean it can’t be fun and rewarding. You can have fun beating the odds , staying fit and healthy. And you can reap the rewards when people who have known you come up and ask, “How do you do it?" Fifty Plus Fitness ™ makes this possible by designing a program for you that directly addresses your needs, your challenges, and your goals! Mission We are a global society of women that supports and encourages women in their pursuit of fun, friendship, freedom, fulfillment, and fitness. dedicated to reshaping the way women are viewed in today's culture.